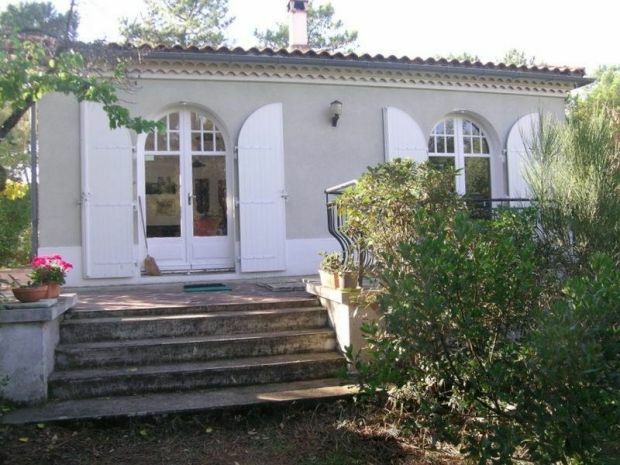 House with private garden, just 300m from the beach and 500m from shops. With: Living room with sofa and TV. Kitchen equipped with gas cooker, oven, dishwasher and fridge-freezer. Bedroom 1: Bunkbeds of 90, sink, and chest of drawers. Bedroom 2: opens out to the terrace with double bed of 140 and single bed of 90. Bedroom 3: Two single beds of 90, sink and bidet. Bedroom 4: Large double bed of 160 and ensuite bathroom. Hallway with shower room and separate WC. Basement level: laundry room with washing machine and fridge. GARDEN FURNITURE - SOUTH-WEST FACING - SLEEPS 9. North of Royan, on the Côte de Beauté, La Palmyre welcomes you for a pleasant holiday with family or friends. Between sea and forests, you will benefit from a breathtaking setting to relax, to spend and make beautiful discoveries. Many bike paths will allow you to walk in the forest of Coubre and access the beaches (La Palmyre, the Club Med, from the Coubre lighthouse, from the Côte Sauvage to Ronce Les Bains), to the shops, the markets on Wednesday and Sunday from April to September, the PORT with its BASE NAUTIQUE and the ZOO DE LA PALMYRE. You will be near the strike of LA TREMBLADE where you can taste the oysters and the éclades in our famous "Cabanes" from where you can also go on a cruise for FORT BOYARD, of the OLERON ISLAND with its port of LA COTINIERE and its citadel of CHATEAU D'OLERON, ROYAN with its port and its architecture of the war, LA ROCHELLE to visit the aquarium.